While many people know that a Realtor® helps buy and sell homes, what they may not know is that only a Realtor® is a member of the National Association of Realtors® and subscribes to its Code of Ethics. It's the Realtor® Code of Ethics that inspired the association's powerful new "That's Who We R®" campaign, which launched in February. “’That's Who We R®’ serves as a reminder of what NAR has always stood for, while signaling where the organization is heading. For Realtors® the campaign is a rallying cry that instills pride in their everyday actions. 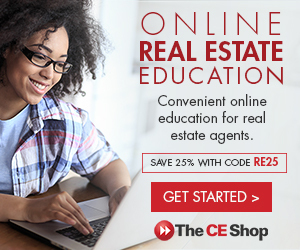 For consumers, it's an education about the Realtor® difference,” said Shuryl Menapace, 2019 CCBR President. The integrated marketing campaign from Havas features a cinematic world inspired by the Realtor® mark that serves as a beacon throughout. Everything from the larger than life "R" at the beginning, to the angles and geometry used as transitional elements and across the numerous sets was inspired by the mark that sets Realtors® apart. The agency partnered with Director X, known for his visually distinctive style, to create something distinct and modern. "That's Who We R®" features compelling stories about humans helping humans find homes and property, build communities and turn business dreams into realities. The campaign content will be brought to life through strategic partnerships reflecting the modern ways in which our target audience consumes media, including linear and online video, streaming and terrestrial audio, social media, branded partnerships with multi-channel content makers such as VICE, Apartment Therapy, The Atlantic, HULU and more. The :30 "That's Who We R®" TV spot can be viewed here, and more information about NAR is available at www.nar.realtor.